We were e-mailed these incredible photographs of the gallery over the Easter weekend from JoE Clarke who is a co-resident at The College. The e-mail simply read “Happy Easter”. Happy new year everybody and thanks to you all for your support throughout 2011. Our new year starts with a bang as Art-el opens it’s first gallery space and we would like to invite you all to come and join us for food and drinks on the 20th January from 6pm – 9.30pm to help us celebrate as we embark on the next leg of the Art-el journey. We will initially be showing a selection of works currently represented on the Art-el web-site but this will soon be changing so watch this space for future events and gatherings. Look forward to seeing you all on the 20th. The Birds are back for their summer exhibition. If you have have been to a Great Birds show in the past you’ll know what a treat there is in store, if not you need to go check out what you’ve been missing. The birds have been working exceptionally hard over the last few months to bring you, fresh and exciting new work and we really do think that this will be the biggest and best show yet, so go show the birds some love. 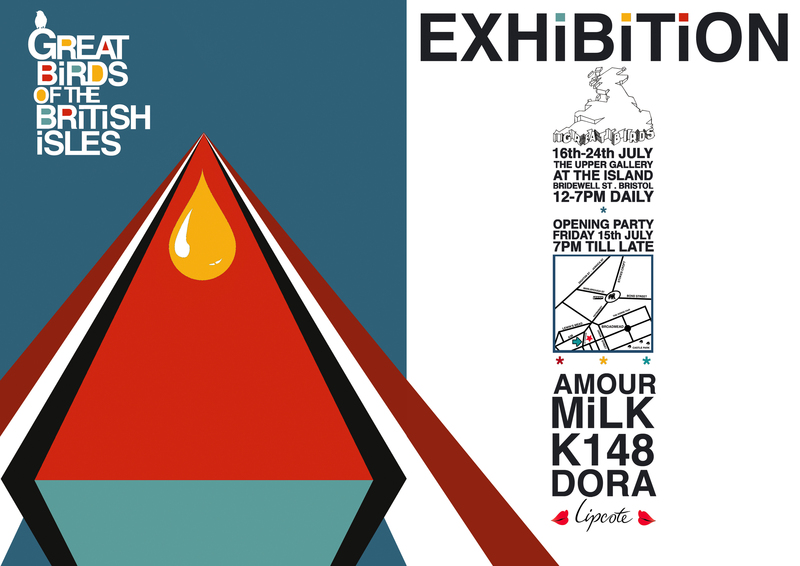 Milk, K148, Dora and Amour currently living and working in Bristol, England. They bring site-specific beautification, to exhibition spaces and disused shops, the diamonds in the rough. whilst all concentrating on their own creations – their delusions of grandeur, in the feathered revolution. The birds combine paintings, prints and photography, with their use of colour, form and essence, allowing the viewer to find each space unique. Spreading their wings, dropping their liquid styles onto the walls and floors. Decorating, and simplifying, all in one stroke. If you haven’t got to this show make sure you do by next Thursday, it’s well worth a gander. The hard work paid off. 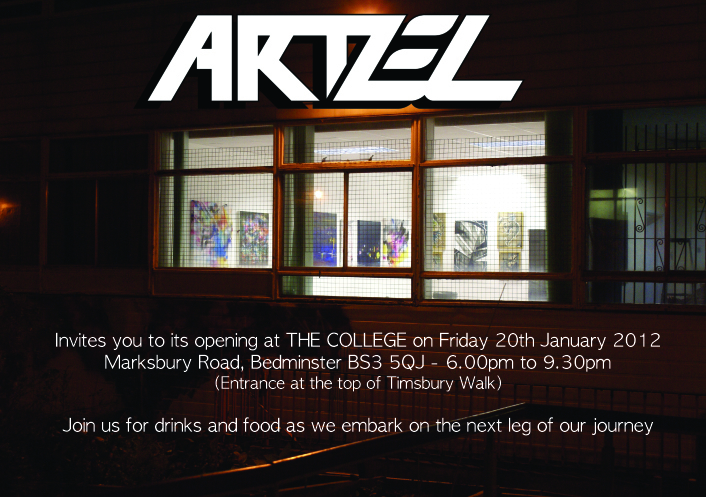 After another frantic day of hanging the doors have finally opened to Bristol’s newest Gallery. The art and the space were very well received and the venue was busy all evening, music played and beer flowed. In neighbouring units there were cyclists, live art and a burlesque fan dancer so plenty for all too see. The show is open for the next 6 weeks so if you couldn’t make it last night there is still a chance to catch the show at 131-133 Wilder Street, St Pauls, Bristol open Wednesday – Saturday 11am to 7pm and Sunday 11am – 4 pm. A big thanks to everybody that worked so hard in making this show possible, all the artists, Paul, Anabel, Sean Phil, Sam, Damian, Red Bull and to everybody that showed up and those that plan to. The day started at 11ish, laying out the art work where we intended to hang it. The art went up, and came back down again, got moved, went up and came back down again. This happened for most of the morning and well into the afternoon. Then after a red bull or two, not only did we get wings but some inspiration too and the pieces started flying up. 12 hours later most of the show was hung, phew. Looking forward to putting the finishes touches together tomorrow and throwing open those doors. 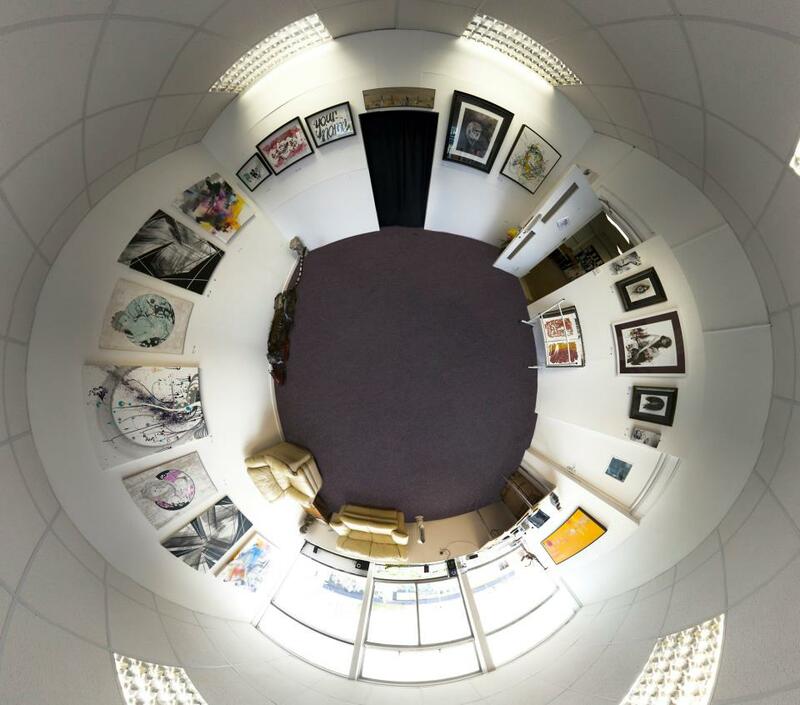 Well this is the week that the all brand new Wilder Street Gallery throws open is doors to the public. Located at 131-133 Wilder Street, St Pauls Bristol, he building, Co2Zero, is a work of art in itself. The scheme is heavily ECO biased and is the first zero carbon live/work developement in the UK. We have been working very hard co-curating the opening group show “69”. Opening night is on Tuesday the 10th of March namely because this happens to be the 69th day of the year, featuring artists including Mr Jago, Inkie, Joeseph Loughborough, Dr.d and Brian Jones. There will also be a live music set and other visual delights. The show is supporting the Terence Higgins Trust with 10% of sales from the show being donated.